The choice of the operating system and the corresponding platform should be given careful consideration. Especially when it comes to relevant data and structures. We are happy to advise you and offer you suitable solutions to choose from. 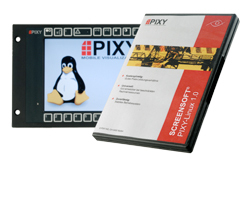 Whether Windows® Embedded System 2009 or Pixy Linux—we provide you what best suits your needs. The Windows® Embedded System (WES) impresses with high reliability, security, and performance for the operation of Screenboards®. Customer-specific adaptations such as language and regional settings and the integration of additional tools and drivers can be made upon request. 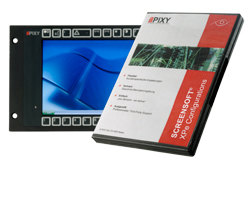 Embedded Linux is an open, flexible, and highly reliable operating system for PC-based Screenboards®. It is inexpensive, runs faultlessly even on older computer architectures, and can be adapted to customer needs. This means that the customer has plenty of latitude in choosing their graphics library or other adaptations.